The shaving and hair-removal industry is worth $4 billion in the U.S., even though many of its products wind up in the landfill. Many disposable razor manufacturers have begun to construct handles out of recycled material, but cartridge components can’t be recycled together and are dangerous to take apart. This means 2 billion disposable razors are thrown away each year. If you aren’t ready to give up your daily shaving habit, never fear. There is an alternative to the current way of hair removal and companies like West Coast Shaving make it more accessible than ever. West Coast Shaving specializes in safety razors used for “wet shaving,” as it is commonly known. This method describes shaving with – you guessed it! – water. The main tool made for the wet shave is the single-blade safety razor, which was the predecessor to the common multi-blade razor we use today. However, these razors require only a double-edged blade that is replaceable and recyclable, which makes it more environmentally friendly than the cartridge variety. Wet shaving with a safety razor can help you save energy on your morning routine by limiting the water you need to what fits in a shave bowl. 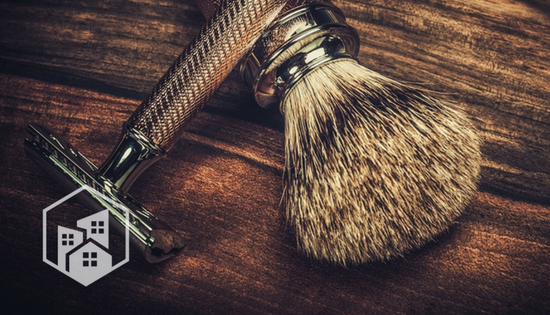 The components necessary for the wet shave include 1. a small shave bowl (or water in the sink), 2. a shave brush, 3. shave soap, 4. and a safety razor with blade. Although the initial cost of the razor may seem high – the razors from West Coast Shaving start at $21 – they are meant to last a lifetime. Customers save money with the purchase of blades. West Coast Shaving offers blade sets that start at under $2. This is in stark contrast to the average cost of $13 for a pack of razor cartridge refills. How is it environmentally friendly? Beyond the money saved, shavers can feel good about their straight razor because of the materials and accessories used. Steel razors, which are most popular, can be recycled and won’t sit in a landfill like the current popular choice. West Coast Shaving also sells many vegan and organic accessories for your shave, such as soaps and oils. It offers some of these products in refill form to further reduce waste. Shave brushes, which are often made of animal hair, are also available in synthetic hair varieties to better serve the environment and vegan consumer. For added convenience, the brand also makes a blade “bank,” which allows shavers to place their used razors in a slotted box and send the entire package to a recycling facility. The California company, established in 2007, seeks to revive the art of wet shaving and encourage safety razor skeptics to give it a try. The staff is available in store and online to help you choose the best razor and blade for your needs, as well as review product additives for the ingredient-conscious buyer. Employees can also help you purchase products with the least waste and highest potential for recycling, such as blades wrapped in paper and packaged in a small paperboard box.